Romania is a truly beautiful country. I think many of us expected to see an impoverished, third world land, but we couldn’t have been more wrong. It’s a magnificent country with generous, loving people. Everyone here from the cooks to the kids to the counselors has treated us with more kindness and generosity than we expected. It’s also very impressive to see 7 and 8 year old children who can speak English fluently. I think it’s made a strong impression on many of us, so don’t be surprised if our team comes back wanting to learn more about this beautiful language spoken here. Romania is leaving a truly significant mark on us. Today was a very special day. 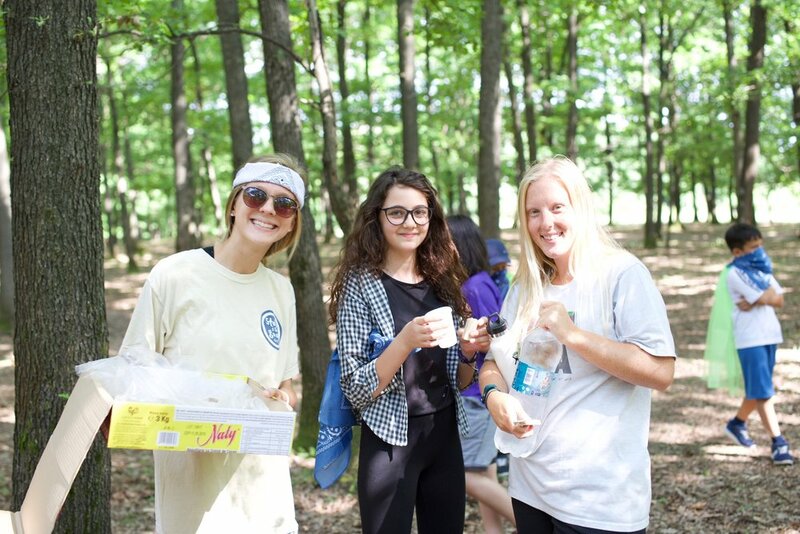 We started off like we have every day: breakfast with the campers, quiet time and then chapel. It’s been a really interesting experience worshiping together with the Romanians. They’re very passionate and it’s clear that they genuinely love our Lord. 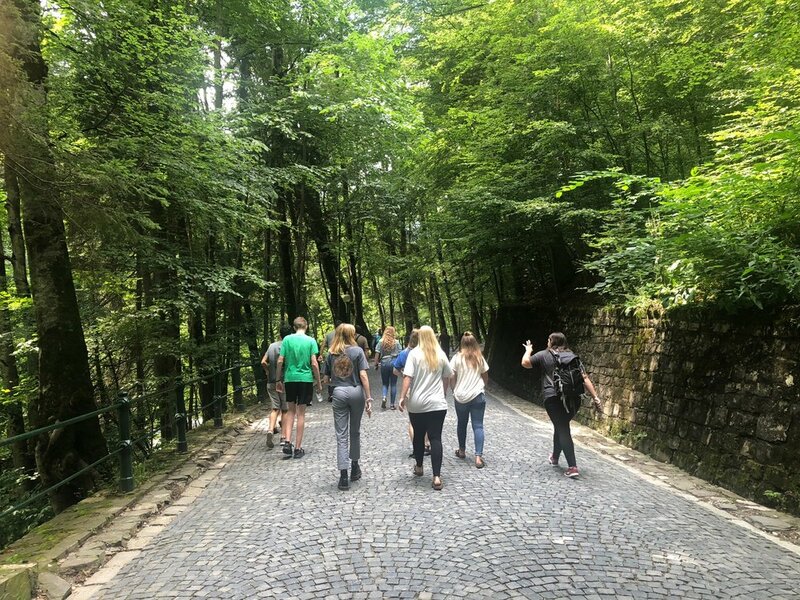 After chapel, our team loaded up in a couple vans and Iulian took us off to see Peles Castle. We ate lunch at an amazing restaurant in the valley of the castle and then walked up the Carpathian Mountains to one of the most beautiful castles any of us had ever seen. Granted, we haven’t seen that many castles between us, but it was still incredible. Then we came back to camp right in time for dinner. After which, we went to probably the best chapel service yet. I couldn’t point out exactly what made it so moving, but it’s been amazing to see God working and changing the lives of these young campers. It will not be easy to leave this place, but i think we will all be leaving with confidence in the fact that God used us to make an impact in the hearts and minds of these beautiful children. We had such a beautiful day today. We started with a great testimony from Robert during chapel. And from there we continued to play with the children, getting to know them even better. You guys would be amazed at how well our team is doing despite the language barriers and cultural differences. They are truly making a difference in the lives of these kids here in Romania. After lunch, we took a short trip over to the Princely Court of Targoviste. We got to see where Vlad the Impaler lived as well as many of the other kings of Romania. There was a beautiful monastery, impressive chapel and a very tall tower from which we could see the entire city. 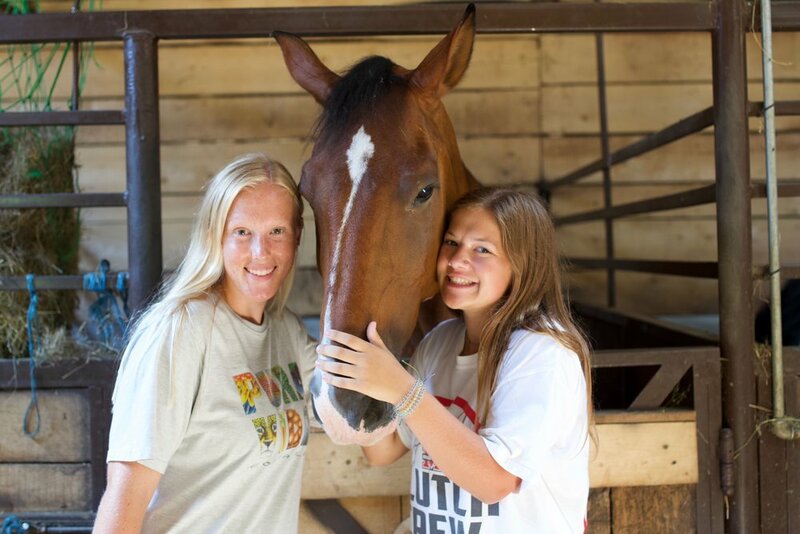 When we got back, we went straight up the mountain to a beautiful horse ranch where the kids all got to ride horses, play in the forest and do crafts together. Even though we were rained out, it was one of the most beautiful moments of our trip. Then, after dinner, we had an amazing talent show where a lot of our team played hilarious roles in skits and songs. Chapel was beautiful and then we finished up the whole day with a nice birthday party for Nick. It was an amazing day all around!! Hot dogs and cucumbers for breakfast!! That’s right. It’s been an interesting day. We started off with a counselor meeting where our very own Katie Pottorff led the devotional. Then, after a very interesting breakfast, we went to chapel where Erica shared her testimony and Nick taught about the life of Moses. Then we went out and played lots of crazy games. The funniest game was when they played soccer with an American football! We also did a crazy obstacle course complete with slip and slide, baby pools and water balloons. We also had some great craft time followed by more games. These kids love to chase Gigi! Chapel was a very special time as well. We saw dozens of kids raise their hands to accept Christ for the first time. 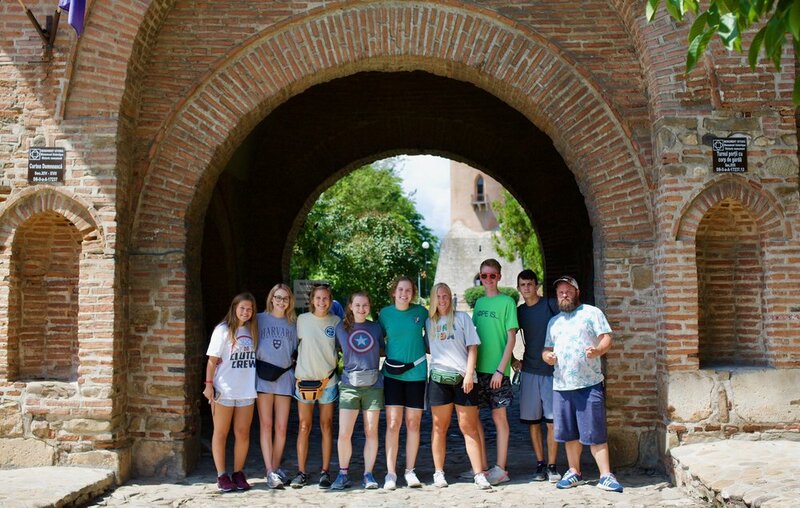 We are all so fortunate to be here, experiencing all of this together with the Romanian counselors and kids. It’s amazing to see how God works all over the world. We can’t wait to see what he’s gonna do tomorrow! We woke up and ate our last leisurely meal with just the counselors. As we finished up, the campers began to arrive. As they steadily came in, we were playing soccer and volleyball with them as well as painting their faces and just hanging out together. Then we came in for opening ceremonies. There were skits, songs, games and all sorts of fun camp stuff. From there we had lunch, did some crafts, played more soccer and even took some time out for quiet times and group devotionals. The Romanian counselors are amazing and our teenagers are really clicking well with them. A lot of the kids speak some English, but definitely not all of them. So having counselors who do speak English has been a huge help. After dinner we went to chapel and that was a blast. We played more games, saw more skits and even performed one of our own. There is a camp song we sing every time and we are all starting to catch on to the words already. Nick taught the kids about creation and they really seemed to connect with it. After chapel we played a crazy night game with glow sticks, hidden counselors and a lot of people jumping out from behind bushes. It was a lot of fun. This first day of camp is in the books and we can’t wait for day 2! !